Lori Selke & Djibril al-Ayad (edd. 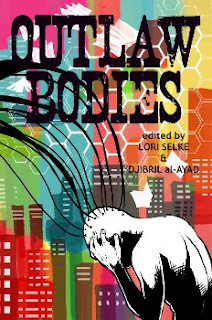 ), Outlaw Bodies: A speculative fiction anthology. Futurefire.net Publishing, 2012. Pp. iv+164. ISBN-print 978-0-9573975-0-7; ISBN-electronic 978-0-9573975-1-4. $10.00/£8.00.